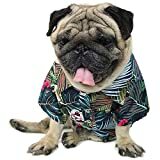 The dog days of summer are coming up, so make sure your furry best friend is dressed for the season and maybe even matching your impeccable island style with one of these cool new Aloha Dog Shirts. 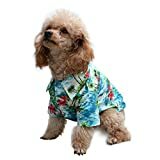 These authentic Hawaiian shirts for dogs are made in Hawaii and feature the classic collage of palm trees, blue ocean water, islands, and tropical flowers. 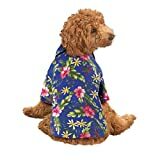 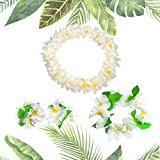 Perfect for taking your dog on long walks along the beach, to backyard Luaus, or just any old leisurely walk and are available in multiple sizes... including the matching human version.